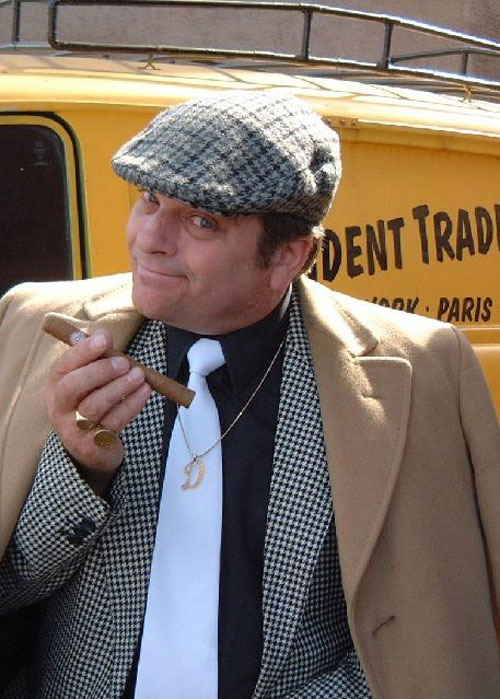 If "Del Boy” aka Steve Rooney was to walk in the room and say” Lovely Jubbly” you wouldn’t be wrong for thinking you had just stepped back in time and come face to face with a television legend Del Boy. Steve has been impersonating Del for several years now and has an act second to none, watching him wheel and deal with the other traders has to be seen to be believed. He even has the original 3 wheeled van if you want him to turn up to your event in style.